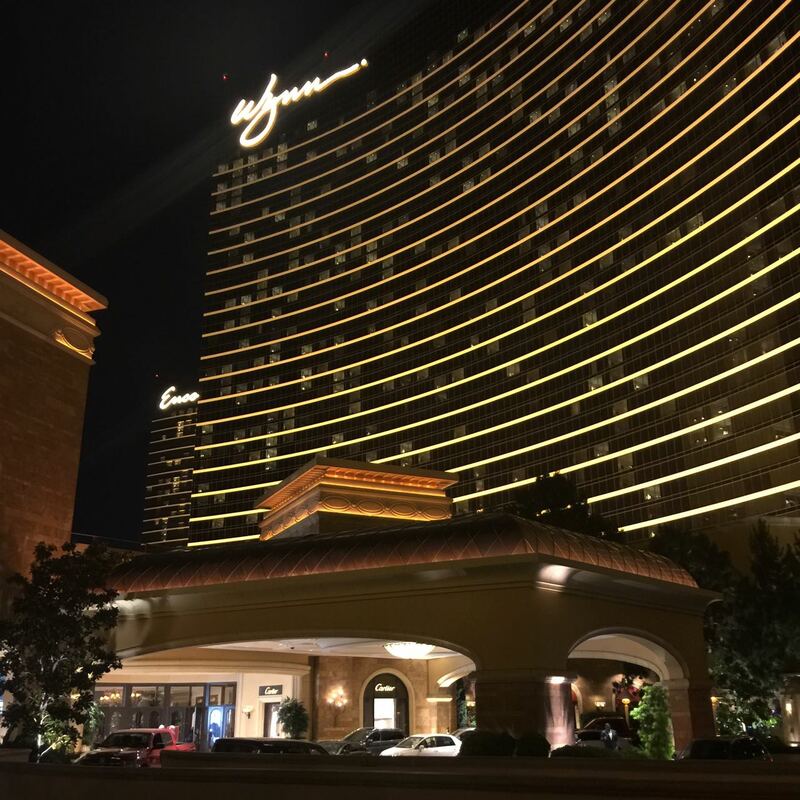 The Wynn name has been iconic in Las Vegas. Steve Wynn, how could you? How could you disappoint all of us who were so proud of you in Las Vegas. We took millions of photos of your Mirage volcano, your Bellagio fountains and gardens and your Wynn carousel. We were proud of the quality you brought to Las Vegas, even, at the Wynn Las Vegas, hiring one man who did nothing but repair imperfect tiles in your lovely ceramic floors. You took care of customers and cab drivers. Your Wynn buffet is great; your entertainment is first rate. Even the tassles on your curtains couldn’t be lovelier. Your deep voice and confidence in interviews made listening to you a must. As a result, we invested in you (literally). You were OUR Las Vegas genius and you always made us excited about the future. Yesterday, I joined the Wall Street Journal as an online subscriber (I took a $1 deal for two weeks) so that I could read the article that brought news of Steve Wynn and bad behavior. I was curious to know if the article seemed true. 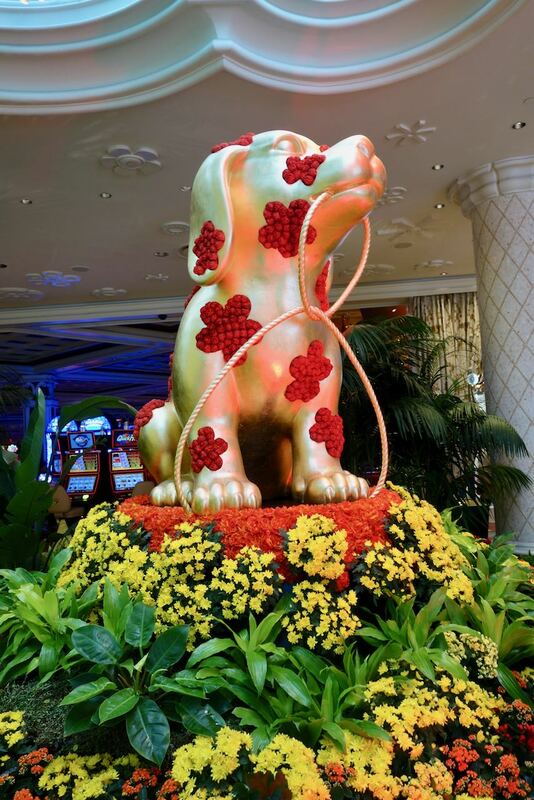 The Wynn Las Vegas is known for tasteful decorations. Here is the Wynn’s current salute to the Chinese Year of the Dog. Maybe Steve Wynn was too busy to roam the back streets of Las Vegas to hire professional prostitutes; maybe all the casino CEOs did what he did; maybe a number of the salon girls were more than happy to accommodate Wynn. Who knows the truth of all this? 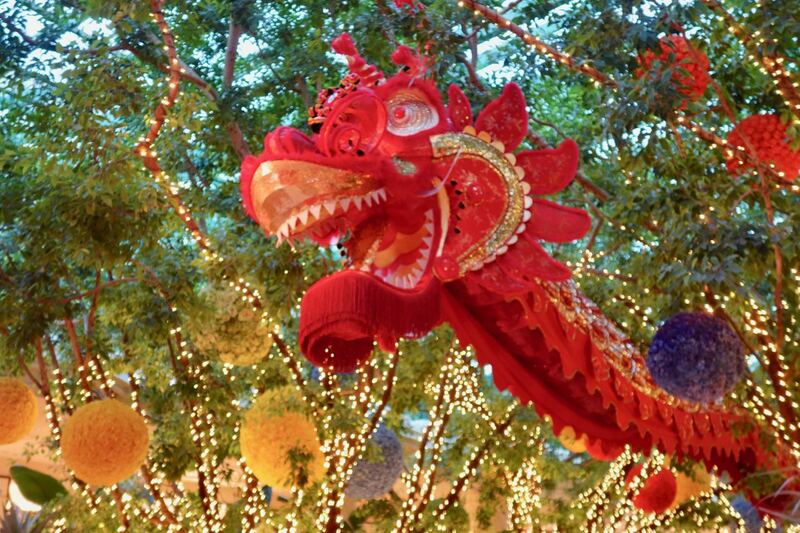 A Wynn dragon is also part of the resort’s salute to Chinese New Year. My friend and I go to the Wynn every Monday to gamble for two hours. For that visit, we receive free play and occasionally we can have a free Wynn buffet lunch. This past Monday, my friend talked to an employee about Steve Wynn. 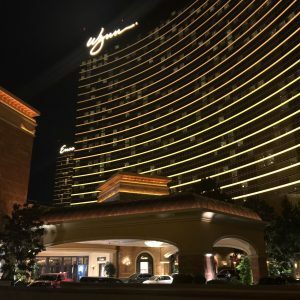 The employee said his friends at Wynn stand behind Mr. Wynn. He mentioned that Wynn has said this was a situation that came about because of a pending divorce settlement. He further mentioned an anonymous hot line that has been established at the Wynn property for anyone to report incidents of sexual harassment. The article mentioned the hot line as well, saying no reports had ever been received about Steve Wynn. But Steve Wynn is now 76 and something tells me that his days as a man in need of female companionship preceded the hot-line days. In the course of looking for the Wall Street Journal article, I ran across a video of Mr. Wynn. His face looked pretty bad, tan and peculiar, something similar to the peculiar look now on the face of Wayne Newton. I find it amazing how some face lifts really don’t work. So here is a vain man, a rich man, who apparently thought he could buy anything he wanted any time he wanted it. AND many young women went along with him worried about their jobs and accepting their non-reportable tips. Steve Wynn should have known better and so should have the women. Whatever happens next, I’ll be interested. Somehow, holding my nose, I hope we haven’t seen the last of Steve Wynn. Regardless, as a Las Vegan, the news about Steve Wynn and his alleged actions with some of his female employees makes me so very sad. LAS VEGAS — On Wednesday January 31st, UltraViolet, a leading women’s advocacy organization, will fly a plane banner over Wynn Las Vegas urging the Wynn Resorts board to fire Steve Wynn. The action comes after an investigative report by the Wall Street Journal documented dozens of instances of sexual harassment and coercion allegations against Steve Wynn from women he employed. There is a witch-hunt mentality going on now with some of this investigative reporting, that I find a little alarming, but there is no doubt these revelations tarnish us all. It will be interesting to see what happens next with Mr. Wynn and his company. We have another situation where the man is convicted without evidence or indictment. I don’t think all men are predators. I also believe if you are invited to a celebrity or sports figures’ hotel room, common sense should govern your decision. If you accept the invitation, you should be smart enough to know you’re not going for “tea and cookies”. Although I personally don’t like Steve Wynn(I’ve met him), I hope he and his company can weather this storm. The news is in February 7, 2018: Steve Wynn has resigned his role with Wynn Las Vegas.